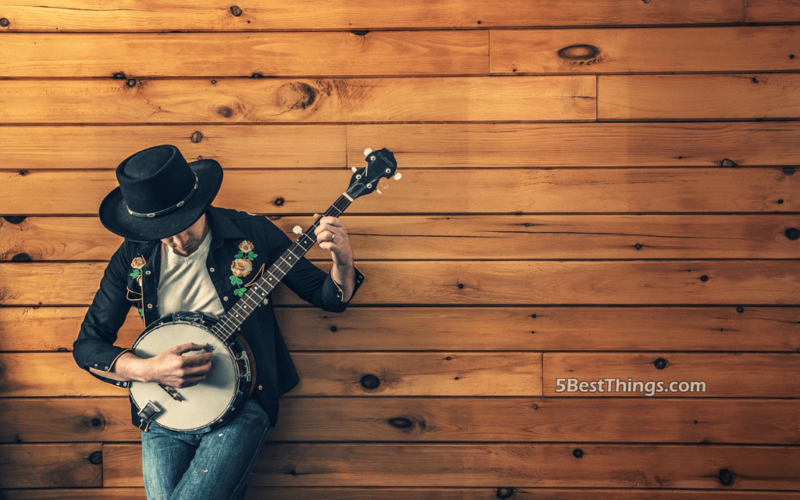 If you have become fond of the bluegrass tune and want to have a shot at playing the banjo, or maybe your band is looking to include another string instrument in the collection, then this guide is what you need. The reasons to start using a banjo are many but one thing is for sure – you need to do your research before you go out shopping for one. The good thing is that you will find all the relevant information in this article to help you make the right decision. When beginning, there are a few things that many people tend to overlook. They assume that any banjo can be played to produce the tune in their favorite Bill Keith, Earl Scruggs or Don Reno collection. That is not necessarily true. The last thing you want is to invest in something that turns out to be something you don’t want. Before you make your first banjo purchase, it will be essential that you understand a few things to make sure you go home with the right one. Before purchasing your banjo, you probably have the type of music you want to play in mind. And if you don’t, then you better start figuring it out. The definition of the music you want to play with your new banjo will go a long way in helping you find the best one for that purpose. If you are after more lively music, picking a four-string banjo would be a right choice. There are three types of four-string banjos: Plectrum banjos, 17-Fret Tenor Banjos, and the 19-Fret Tenor Banjos. For these categories of music, a five-string banjo is an excellent choice. This is like the standard banjo for most music types and unless you are specifically going for the Dixieland and Irish music, always go for the five-string banjo. As silly as it may sound, knowing the hand with which you will pay will help in making the right choice of banjo. The last thing you want is to buy a right-handed banjo when your dominant hand is left. So, make sure you make the right selection regarding the hand you will use to play. As the name suggests, the open back banjos are not covered on the back side. It is the design of the classic banjo. They are mostly used for playing old-time music and string band music where the volume of the banjo does not have to be as loud. On the other hand, the closed back banjos have covers on the back side and are often used for the bluegrass music. The feature distinguishing these from the open back is the resonator and flange used for the projection of sound toward the audience. As a result, the volume is higher. Maple – A maple neck on your banjo will give you a crisp and sharp sound. You can decide to either play it very loud or very soft. Mahogany – This is the right choice if you are looking for a gentle and warm sound with a slower response. Walnut – This wood is not as popular as maple and mahogany. The sound it offers is somewhere between what the two have. The following is a list of top five banjos designed for the beginners with little experience. Deering is one of the major players in the banjo making industry. Quality and durability are assured, but it comes at a price. However, despite the high price, getting yourself the Deering Goodtime 5-string banjo is a sure way of entering the banjo playing universe with a bang. It produces a crisp, sharp sound due to the maple neck. This banjo comes with 22 frets which are precise to ensure nothing less than correct intonation. Besides, the slim neck makes it easy for anyone to hold. Its lightweight makes it easy to carry around. Many of the seasoned banjo players recommend this banjo for beginners, meaning you can rest assured that you are getting the right product. Offering quality sound, this Jameson 5-string banjo has a closed back and is designed for right-handed players. It comes with a slim neck and lightweight for improved portability. Other features include 24 brackets, mahogany shell, 7-ply maple, an adjustable hinged tailpiece and a geared fifth tuner. If the price of the Deering is too high for you, then this will serve as a better option. Furthermore, the quality is high meaning that you can count on its durability. The resonator is removable allowing you to switch between the frailing style and clawhammer at your liberty. Epiphone is another banjo maker that makes excellent banjos with for beginners. The MB_100 Banjo is an open back banjo which offers an excellent sound ideal for the old-time tunes. The body is made of mahogany with the fretboard made of rosewood. While you can enjoy the nice and warm sound, the amount of fine-tuning required is a little demanding. For this reason, if you are just starting, it is advisable to get a teacher or seasoned player to handle the adjustments for you out of the box. This banjo can be rated mid-level regarding experience required for its operation, but you can still use it for your beginner lessons. After a while, you will want to upgrade to those with higher quality.